A crop simulation model must first be capable of representing the actual performance of crops grown in any region before it can be applied to the prediction of climate variability and change impacts. A cropping systems model (CropSyst) simulations of crop productivity in the sub-Saharan Central African (using Cameroon as the case study) region, under the current climate were compared with observed yields of maize, sorghum, groundnut, bambara groundnut and soybean from eight sites. The model produced both over-and-under estimates, but with a mean percentage difference of only –2.8%, ranging from –0.6% to –4.5%. 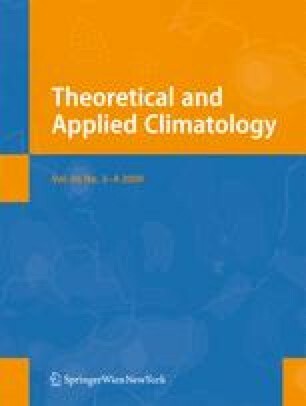 Based on these results, we judged the CropSyst simulations sufficiently reliable to justify use of the model in assessing crop growth vulnerability to climatic changes in Cameroon and else where. We acknowledge the help and assistance provided by Claudio O. Stöckle and Roger L. Nelson (Biological Systems Engineering Department, Pullman WA, USA) in using CropSyst.